Winter is pothole season and this year, they are packing a powerful punch. After hitting a pothole, most drivers wonder, “Is my car OK?” While the tires and wheels can be visually inspected, there could be damage to the steering, suspension and alignment systems that you just can’t see. To help determine if hitting a pothole has damaged your vehicle, watch for the following warning signs provided by the Car Care Council. Loss of control, swaying when making routine turns, bottoming out on city streets or bouncing excessively on rough roads. These are indicators that the steering and suspension may have been damaged. The steering and suspension are key safety-related systems. Together, they largely determine your car’s ride and handling. Key components are shocks and/or struts, the steering knuckle, ball joints, the steering rack/box, bearings, seals and hub units and tie rod ends. Potholes occur during the winter and spring months, when water permeates the pavement – usually through a crack from wear and tear of traffic – and softens the soil beneath it, creating a depression in the surface of the street. Many potholes appear during winter and spring months because of freeze-thaw cycles, which accelerate the process. 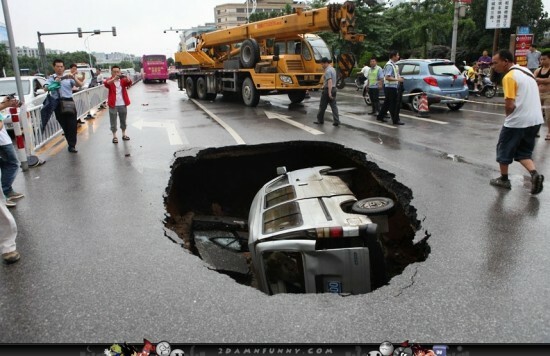 Potholes can also be prevalent in areas with excessive rainfall and flooding. “I took my vehicle in to Einstein’s Oilery and was blown away! The moment we pulled up we were offered drinks (they even gave refills!) and Preston even gave my son a Kindle to play with while we were waiting for everything to be completed! We were even able to stay in the car while the oil was changed and they were done so we could be comfortable and not have to chase our 2 year old around the shop!!!! The staff is extremely nice and helpful. Overall, I am extremely impressed with Einstein’s Oilery and will definitely make sure it is my “usual” place to go whenever I need an oil change. After the service I received there today, I could not imagine ever going anywhere else! If your heating or air conditioning systems needs a tune up or repair, or you’re looking to purchase a new heat pump or furnace Einstein’s highly recommends Advanced Heating & Cooling. They installed the HVAC system at our new Eagle Road location and did a fantastic job. They were professional, knowledgeable, and courteous and had very reasonable rates. Plus, they regularly send out postcard mailers with specials and discounts so watch your mailbox! 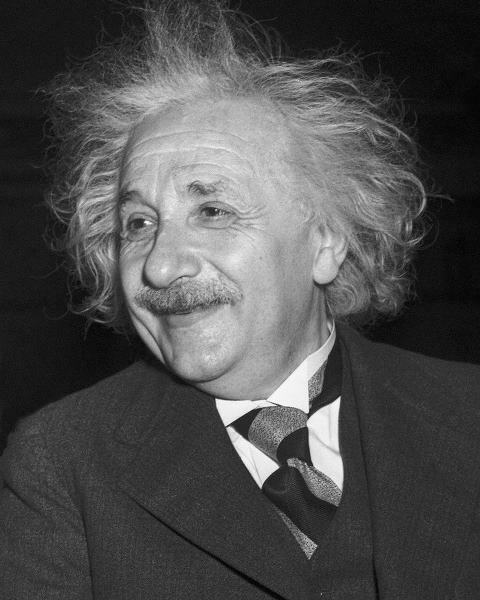 Using Advanced for all your heating and cooling needs is a true stroke of genius! Visit them online at: www.advancedheatingandcooling.com. It’s possible to go your entire driving career without having to change a flat; you just need to have luck on your side. Maybe you’ll have a blowout near a tire shop, or at least within your roadside-assistance limits. If your phone has service, maybe there’s a friend or family member you can call. But why risk it when you could be prepared? We’ve put together a Flat Tire 101 for folks who prefer not to be at the mercy of fate and circumstance. Here’s our best advice on how to take matters into your own hands when you hear the telltale “ker-thunka-thunka-thunk” of a tire that’s given up the ghost. 1. Immediately find a safe, level place to pull over. This may seem obvious, but oftentimes the driver’s first impulse is to tough it out and wait until the next service station. Not a good idea. 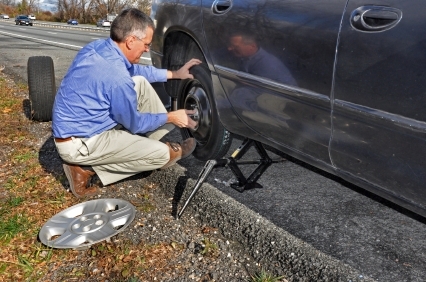 A car with a flat tire is inherently unbalanced, unpredictable, and generally unsafe. It doesn’t matter how good you think you are at driving, because that flat tire will likely make you even better at crashing. So try to find a reasonably level piece of real estate at lease somewhat removed from passing traffic, and park your vehicle on it as soon as possible. Don’t forget to set the emergency brake and turn on your hazard lights! Unplug and Be Outside Week is a week full of FREE activities to inspire and empower families to get off the couch and get active! From April 20-27, there will be activities taking place throughout the Treasure Valley including skating, rock climbing, ballet, hockey, arts and crafts ,nature walks, kayaking, swimming, geocaching, youth dance and tumbling, tennis and golf clinics, a family fun run, preschool music and movement, self defense, and so much more The event is hosted by Be Outside Idaho! and the Blue Cross of Idaho Foundation for Health with support from several local businesses and organization including Meridian Parks and Recreation. Visit the Unplug and Be Outside Week website for a full list of the activities being offered and get ready for some fun! You can also check out the Be Outside Idaho! YouTube Channel for great educational and promotional videos for Be Outside Idaho! and Unplug and Be Outside Week. Let’s get outside and have some fun! Consumers’ pain at the pump is back with gas prices rising for 33 consecutive days according to the Washington Post and the average price of gas moving closer to $4 per gallon. No need to worry, says the Car Care Council. A few simple and inexpensive vehicle maintenance tips can help alleviate the pain. “You can’t control the price of gas, but you can control how much gas you burn by performing proper maintenance and how you drive. Performing simple and inexpensive maintenance can save as much as $1,200 per year in gas costs,” said Rich White, executive director, Car Care Council. Keep your car properly tuned to improve gas mileage by an average of 4 percent. Keep tires properly inflated and improve gas mileage by up to 3.3 percent. Replace dirty or clogged air filters and improve gas mileage by as much as 10 percent. Improve gas mileage by 1-2 percent by using the manufacturer’s recommended grade of motor oil. Observe the speed limit. Gas mileage decreases rapidly above 50 mph. 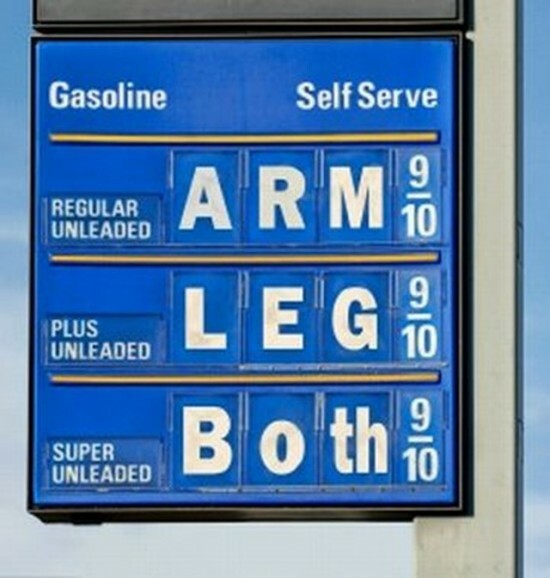 Each 5 mph over 50 mph is like paying an additional $0.25 per gallon for gas, according to www.fueleconomy.gov. Avoid excessive idling. Idling gets zero miles per gallon. Warming up the vehicle for one or two minutes is sufficient. Avoid quick starts and stops. Aggressive driving can lower gas mileage by 33 percent on the highway and 5 percent in the city. Consolidate trips. Several short trips taken from a cold start can use twice as much gas as one longer multi-purpose trip. Don’t haul unneeded items in the trunk. An extra 100 pounds in the trunk reduces fuel economy up to 2 percent.